We are one of the world’s leading private manufacturers and distributors of fine jewelry and jewelry-related merchandise. From our manufacturing and administrative headquarters in Beverly Hills, CA we provide prompt delivery of more than 100,000 different high quality items. Bella Couture® has access to over 38,000 round diamonds, including fancy colored diamonds, ranging in price from $200 to $1,800,000. To view our entire stock of GIA and other certified loose Red Box Diamonds®, ranging from .20 to 7cts, please call us to request your own private pass CODE and a link to our Private online website featuring our Quick Diamond Finder tools allowing you access to all of Bella Couture®'s Certified loose Diamonds currently in-stock and ready for purchase and fast delivery. Why a Red Box Diamond? Trust is paramount to all lasting relationships. You can trust that your Bella Couoture® Red Box Diamond® retailer is providing you with a diamond that is accurately represented. Bella Couture® Red Box Diamonds come with their own grading report that is guaranteed to be accurate or with a report from an independent gemological laboratory, such as GIA, AGS or HRD. Additionally, you can trust that your Bella Couture® Red Box Diamond® meets the highest ethical standards. All Red Box Diamonds® comply with the Kimberley Process, which is a system of warranties that ensure your diamond is conflict-free. We understand that purchasing a diamond with confidence is important in today’s world. You can be confident that your Bella Couture® Red Box Diamond® will maintain its value over time, as our VIP Member Trade-Up Program is automatically applied to every Bella Couture® Red Box Diamond® purchase order. In the future, if you decide, you can trade in your Red Box Diamond® toward a Red Box Diamond* of greater value. Ask our Red Box Diamond® specialists for all the details. Call Customer Service toll free at 1-877-BELLA-97 (1-877-235-5297). 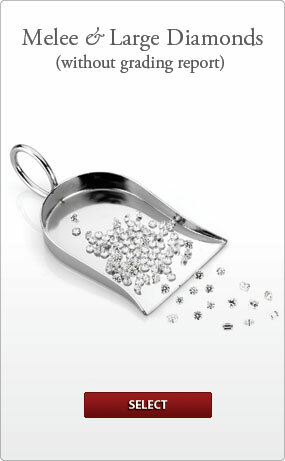 *Diamonds must be in their original condition to qualify for the VIP Trade-Up Program. An essential part of the Bella Couture® Red Box Diamond® experience is the sense of absolute security. Your Bella Couture® Red Box Diamond comes with free loss protection for one full year, making sure your diamond is properly protected. This provides you with worldwide coverage against theft, accidental loss, or mysterious disappearance. Free coverage of the Red Box Diamond begins on the day your form is faxed or postmarked to Bella Couture®. There is no deductible. In the event of a accidental loss, simply return to our Red Box Diamond retailer and they will promptly assist you in getting your Red Box Diamond replaced. In addition to free loss protection, you can have peace of mind in knowing that the diamond you purchased is always unique. Each Bella Couture® Red Box Diamond® comes with the added security of an unique identifier. Laser etched on the girdle of the diamond is a laser-engraved number that matches your grading report. This number allows for proof positive identification. Each Red Box Diamond® comes with a grading report from an independent lab or a comprehensive report from Bella Couture®. We guarantee our reports provide accurate grading information. If you feel your Red Box Diamond® with a Bella Couture® report is not accurate, we will exchange or refund your purchase within 15 days from the date of purchase. 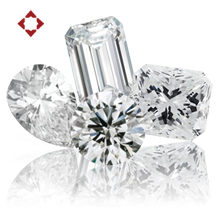 At any time in the future, should the diamond purchased be graded by any of the following independent gemological laboratories (GIA, AGS, HRD, IGI or EGL) and the grade of the stone disputed, we will exchange, refund or adjust the price of the Red Box Diamond® in question. 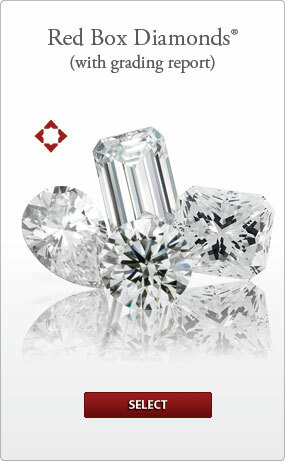 When you are ready to upgrade your Red Box Diamond®, we can help by offering a phenomenal Trade-Up Program. You can have confidence that the diamond you are purchasing will hold its value over time. When you are ready, you can trade in your Red Box Diamond® for a stone of greater value and receive a credit toward your new purchase of a Red Box Diamond®*. Ask a Bella Couture® retailer for details. Toll-free 1 877-BELLA-97 (1-877-235-5297). Whether you are purchasing a diamond engagement ring, an anniversary gift or a special reward of diamond jewelry, you deserve the best. Bella Couture® Red Box Diamonds® offer you more than you imagined possible. Every purchase of a Red Box Diamond® is a brilliant choice. Each Red Box Diamond® is a unique gift of nature, meant to be cherished for a lifetime. It is our responsibility and our desire that you be perfectly satisfied with your diamond purchase. If you are not satisfied, for any reason, return your diamond to your jeweler within their specified return policy guidelines, and your purchase will be refunded, no questions asked. To help ensure your purchase is properly protected, all Bella Couture® Red Box Diamonds® come with free loss protection for one full year. This provides you with worldwide coverage against theft, loss, or mysterious disappearance. Free coverage of the Red Box Diamond® begins on the postmarked date of the registration form. There is no deductible. In the event of a loss, simply return to your retailer for a replacement. This helps to guarantee that you will receive the same quality merchandise as you originally purchased. Custom engraving is available. You can inscribe a secret message of love on your diamond for a nominal fee. Ask a Bella Couture® retailer for details. 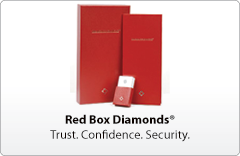 *Red Box Diamond® benefits applies to most diamonds weighing 3/8 carat and larger. Bella Couture®, Inc. reserves the right to modify or discontinue benefits at any time. Program benefits are not combinable with other offers. 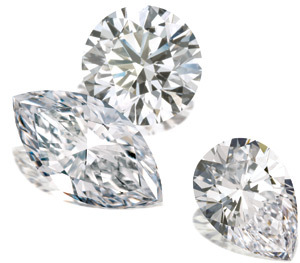 We have over 38,000 round diamonds ranging in price from $200 to $1,800,000. To view our entire stock of GIA and LGL certified loose Red Box Diamonds® Please call 877-235-5297 or contact us above to request our private pass CODE and link to our Private Pages above were members can search all of Bella Couture®'s Diamonds and request pricing. Not sure where to start or what to look for? Contact one of our experienced Diamond & Jewelry Consultants at bellacouture@earthlink.net or call 877-235-5297. • Tell us exactly what you are searching for.